Brand new ''Refresh'' plan located at Trilogy(r) at Encanterra(r). This is a new home so no need to wait for new construction. 2 bedrooms, den, 2 bath and oversized laundry room. Beautiful custom tile work is in all the right places. 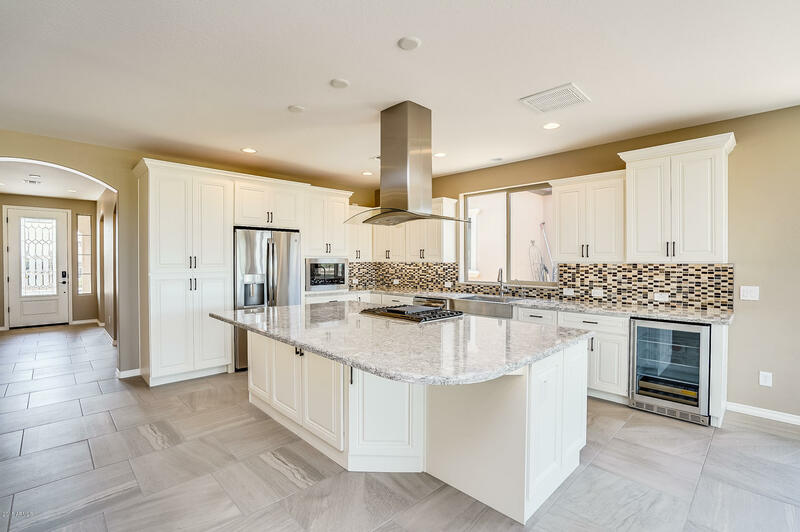 The kitchen is light and bright and offers staggered white cabinets, gorgeous backsplash and stainless steel appliances. Both bathrooms are highly upgraded with floor to ceiling tile work and upgraded hardware. The home is situated on a premium home site with scenic views of the mountains. Just a short walk over to the Algarve adult pool and restaurant. Start enjoying the good life at Encanterra(r) today!